The Wishes Dessert Party has returned for most nights until May 31st. What is a Wishes Dessert Party? It’s a yummy way to watch the fireworks at the Magic Kingdom. Arrive at the Tomorrow Land Terrace Noodle Station an hour before the fireworks and enjoy a variety of sweet treats, coffee, tea & lemonade. Then enjoy a great view of Wishes. Prices for the all you care to eat dessert buffet are $25.99 & $13.99 for 3-9. Reservations are strongly recommended, but walkups may be able to get in. The Disney Dining Plan is NOT accepted for this event. A new way to watch Wishes, is at the Fireworks Dessert Party. This new experience is available to guests from June 23, 2009 – August 28, 2009 at the Tomorrowland Terrace Noodle Station. Each night the Fireworkds Dessert Party will open one hour before the nighttime spectacular and includes a self serve buffet with a wide variety of sweet treats and beverages and exclusive viewing area for the fireworks. Reservations are not required, but are recommended due to expected popularity of this experience. Seating is limited, walk-ups may be available on a first-come, first-served basis. Price is $17.99 for adults 10+ , and $9.99 for kids 3-9. The Disney Dining Plan is not currently being accepted. Prepayment will be required when making reservations. 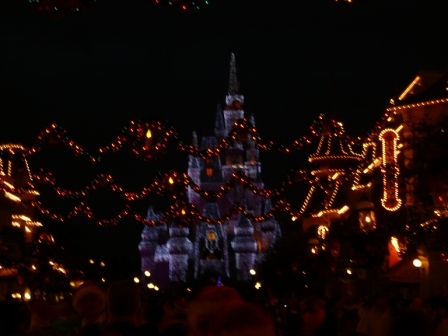 To make reservations call your travel consultant or Disney Dining at 407-WDW-DINE.